Photographers,fine-art printers, print service providers, graphic designers, marketing agencies, layout designers, packaging designers and professional amateurs. 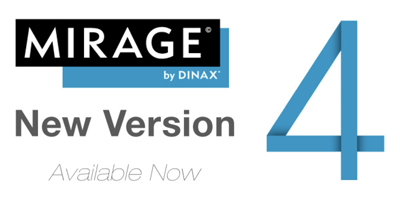 Mirage offers professional and “Prosumer” functionality, all at a cost-effective price point. The intuitive Mirage user-interface enables you to work fast and efficiently. As native plug-in Mirage offers everything, as it should be: smooth and perfectly scaled gradients, fonts and embedded vector graphics. Mirage comes as plug-in for: Adobe© Photoshop©, Adobe™ Photoshop™ Elements, Adobe™ InDesign™ and Adobe™ Illustrator™or as a stand-alone droplet based application. There are no hidden costs for different printer-sizes, Mirage allows printing to different printers at the same time. Last but not least: We offer a very fair upgrade policy when it comes to upgrades and cross-grades. OurEdition series as well as our Extension series offer a modular, cost-effective approach to expanding the products functionality. Mirageis both, significantly optimizing and simplifiying your printing workflow at the same time. Get rid of wasted media caused by “trial & error” techniques from the past. The Mirage preview window shows exact print results. The Mirage Jobs-Archive enablesyou to manage already processed jobs perfectly. By simply pressing the Print button, all Jobs stored within the archive can be printed again atany time. TheMirage Jobs Archive is ideal not only for an uncomplicated reprint, forexample of editions of your works, it also allows you, as a Print Service Provider, to make test prints for customers and recreate those prints after his final approval in any quantity requested. Certainly you are free to determine which jobs you want to save for later reprint aswell as how long those jobs shall be archived. Mirage has no limit. Print panorama images with ease and without any limit. Print 30,000px and more. If Adobe® Photoshop® can handle it, the Mirage Photoshop Plug-in can print it! © 2019 Elevated Color. All Rights Reserved.